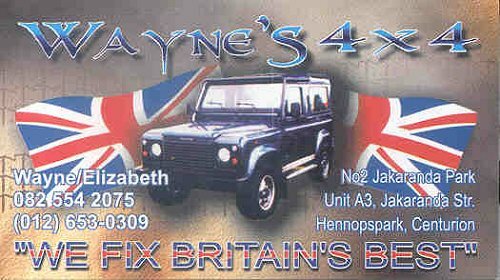 Land Rover Parts & Repair Outlets ! 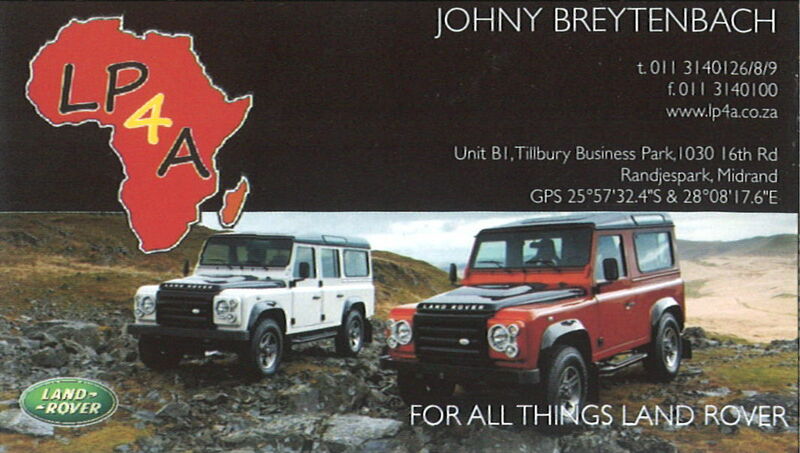 Gauteng - Johannesburg - The Overland Forum prefered Land Rover Parts suppliers ! Rob Leimer's Land Rovers, Honeydew, Randburg ! Gauteng - Johannesburg - The Overland Forum prefered Range Rover Parts supplier ! 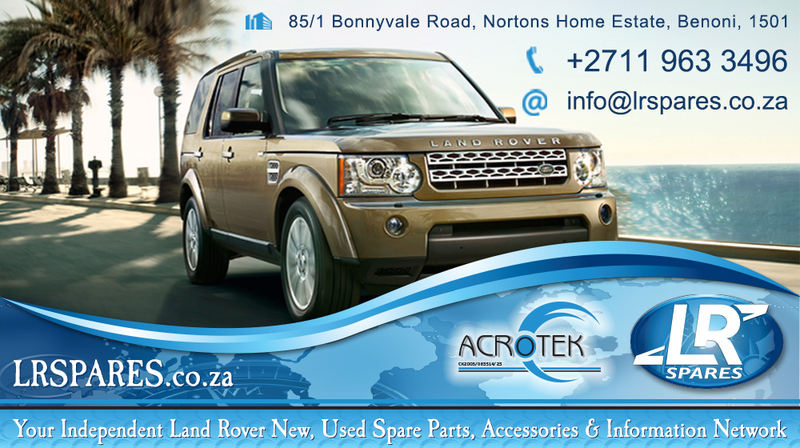 Rangies - Benoni - Specialise in all Range Rover and limited Defender new and used parts ! 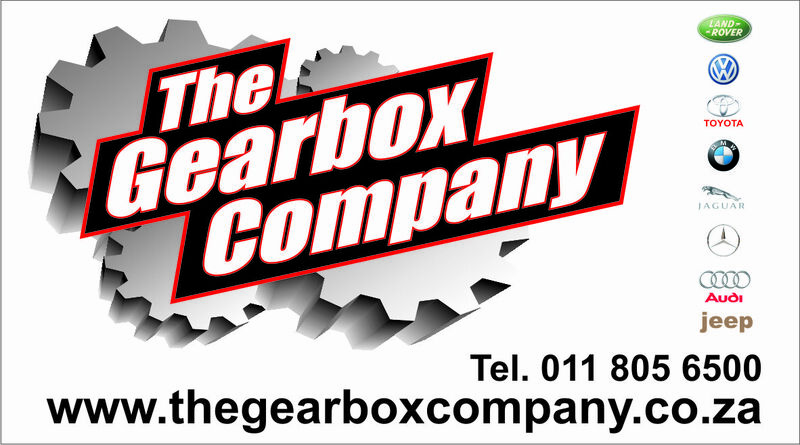 Gauteng - Johannesburg - Overland Forum prefered Land Rover Rover Gearbox Repairs ! 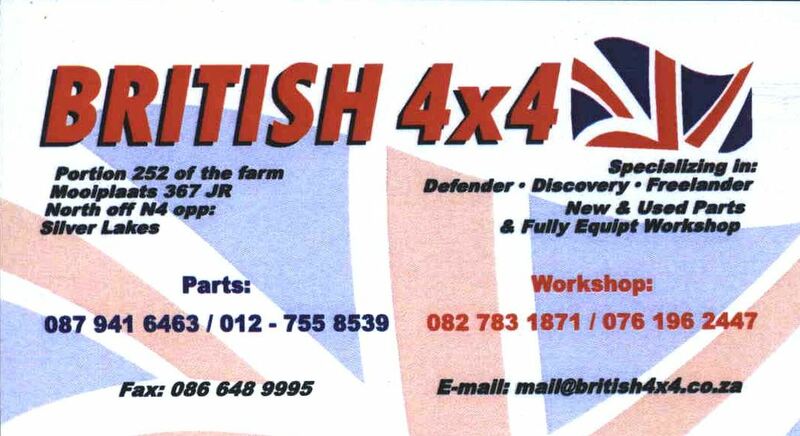 Gauteng - Pretoria - The Overland Forum prefered Land Rover Parts suppliers ! 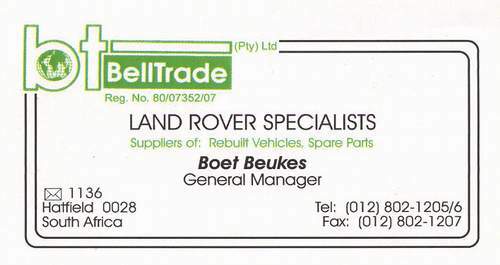 BellTrade (Boet Beukes) - Click through to the website to get the current contact details. Johny Breytenbach at LP4A (011) 314-0126, Randjespark, Midrand. Auto Ezi, East Lynne, Pretoria. Used, New Parts & Repairs ! Used 90, 110 and Discovery parts from wrecks. Contact Marlene ! 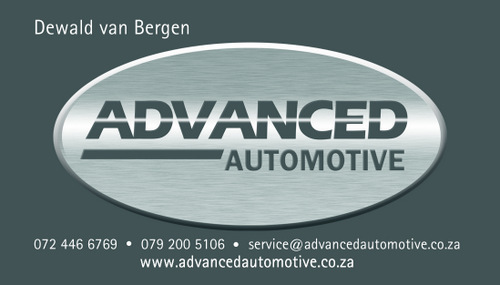 Gauteng - Pretoria - Land Rover Service & Repairs ! Land Rover Zone, Pretoria East past Woodhill. Service & Repairs ! Advanced Automotive, Centurion. Service & Repairs ! 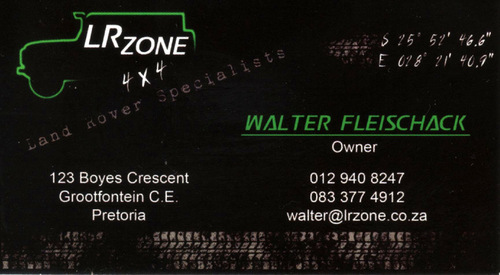 Wayne's 4x4 Technologies, (012) 653-0309, Situated HennopsPark. 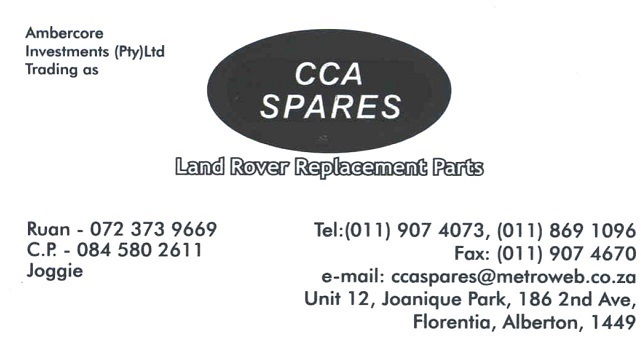 Western Cape - Cape Town - Land Rover Parts & Repairs ! 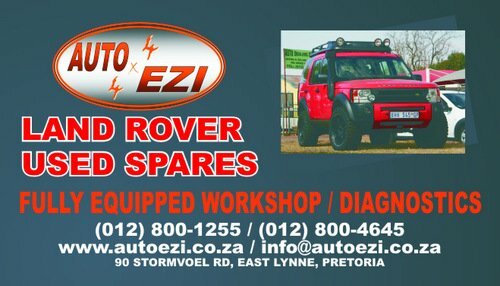 Eastern Cape - East London - Land Rover Parts & Repairs ! 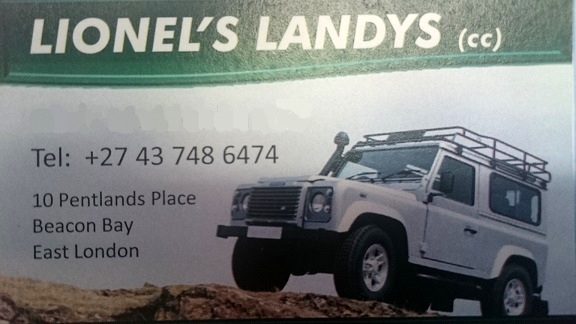 Chris Moldenhauer at Lionel's Landy's (043) 748-6474, 10 Pentlans Place, Beacon Bay - East London. 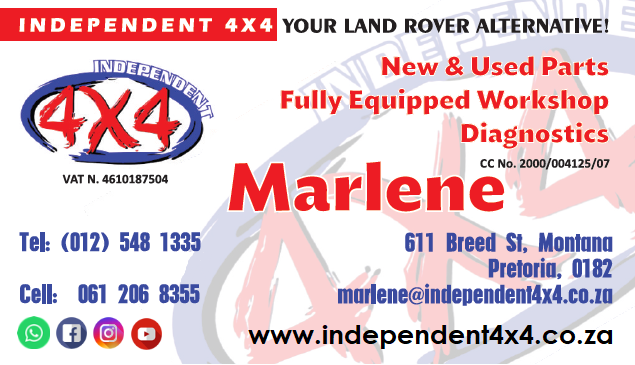 Garden Route - George - Land Rover Parts & Repairs ! Please email any contributions to this list to Hennie Rautenbach !